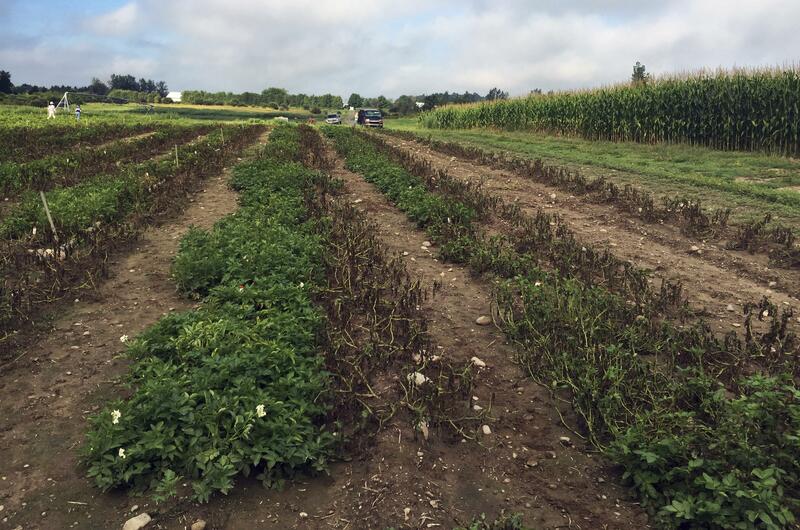 BOISE – Three types of potatoes genetically engineered by an Idaho company to resist the pathogen that caused the Irish potato famine are safe for the environment and safe to eat, Canadian officials said Thursday. The three varieties of potato – the Russet Burbank, Ranger Russet and Atlantic – were approved by U.S. regulatory agencies in February. “There’s strong interest from farmers to get that potato with that trait so they can spray less and have a better quality crop,” Cole said. Production of the first generation potatoes started with 400 acres in 2015, jumped to 1,000 acres in 2016 and 6,000 acres this year. Those potatoes are now available in 40 states and 4,000 supermarkets, Cole said, with about 60 million pounds sold. “We are pleased with sales in the U.S. and hope they will continue,” he said. Published: Aug. 3, 2017, 1:54 p.m. Updated: Aug. 3, 2017, 10:54 p.m.